Home / My life / Beautiful Barbie ! I was 12, even though she was an old toy, this was the first time I looked at her keenly. I noticed her flawless, glowing white skin, her golden hair, her perfect smile, blue eyes, she was so delicate, tall and so beautiful. face, jet black thick hair, a chipped front tooth (In school, one boy fell on me, I hit the ground and lost a small edge of my tooth ) dark brown big eyes, chubby cheeks, plump, not tall either. "But you know just being beautiful isn't everything. You should not try to compete with other girls on beauty, there is always going to be someone else more beautiful than you. Beauty is not permanent. You should have a kind heart, helpful nature, study hard, be a good daughter, you know how many sacrifices your mother has made for you. She works so hard to pay your school fees, you are the only reason for her living." So true .. loved this post too. Is this the same aunt from last post? If so, you would possibly be writing a book titled "Conversations with Ananya's Aunty"
Thank you ! Yes we girls do ! I made my daughter of 10 read this post. Inner qualities are more important than physical beauty - hope she gets it :-). You could me my daughter!! Always hankering after 'long hair' and 'pretty clothes'.. it's a hard battle to convince kids that beauty is more than looks. Mercifully Barbies are not a role model for her - thank God for small mercies. Yes its hard to convince the little minds :) even harder when few shy one's won't speak about their inner thoughts. It's the internal beauty that counts the most! :) Many a young girl feels inadequate when comparing herself to Barbie. There's a movement afoot to make these dolls more realistic and I applaud that. Yes Debbie, There was also a post I read today which said "Small black girls hate barbie", where the author in detail shows how later the company just changed the skin tone of the barbie but everything else remained the same, which led to disappointment again. There are Indian Barbies also, but not sure how young girls react to them. When I was a young girl (when Barbie first came out) I was disappointed because my Barbie looked just like me except I hadn't matured to that point, yet. I wanted a Barbie with black hair. Do you know, I feel better now that I'm fatter, because I've made peace with myself and have learned to be who I am. Thank you for this nice blog. I never had an aunt like yours, but I did have my grandmother. Thanks Mary, am glad you liked what I wrote. Ananya, that was a brilliant write up. I came singing barbie barbie.. while I visited this post.. now after reading I am happy that you conveyed a message. Ah Barbie. The bane of every little girl's self esteem! It messes with your head and yet we all probably played with her. Great advice! An introspective post. Good luck with the AtoZ! The last few lines need to be said to every little girl. Good one! Very good advice, Ananya! Thank you for that! I love your aunt already! Such sound advice. I wish more girls had such significant 'interventions' in their lives! Such a sweet post and your aunt is a gem. How lovely that you had someone to point this out to you at a young age. I wish I would have had that. I always had lots of Barbies and always felt like I could never compare to them. Wonderful aunt! Great values. :) Beauty is but skin-deep! Blogging Betties: Are you one? Lovely post :) I say the same thing to my daughter so she doesn't get too full of air about her looks, doesn't lead a person anywhere if they don't realise that being a good person is far more important and loveable. Nice post. 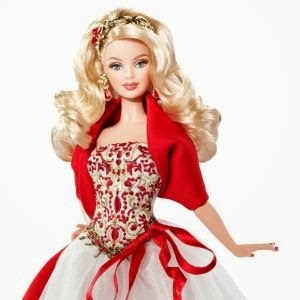 I played with barbie as a kid, but never remember wanting to look like it luckily! This is a very lovely short piece, which rings with honesty. Thank you for sharing this! Loved the message Ananya. Kudos to your Aunt and her wisdom. I've never been a Barbie fan, Ananya. She never seemed real to me. But you are lucky to have a wise aunt - she sounds like someone you could share teenage angst with. You had a very wise aunt, Ananya. Absolutely agree with yoru thoughts, Ananya! Barbie's vital statistics when translated to real life is quite ridiculous is what I have heard. This is lovely. Such an important lesson for us all, isn't it? Brava!! Glad to find you via not only A to Z but also the Ultimate Blog Challenge. Woot WOot! touching lovely post. a wise hunt gave good lessons. This reminds me of that girl who wanted to marry a man with lots of money cuz she was beautiful. She was basically told by a wealthy individual that her beauty would fade and that she wasn't considered a wise investment. I truly believe in building our inner qualities. However society will always those standards on both girls and boys. The great Barbie debate...to play with, increase their size, or ban them. Great advice from an aunt!!! Barbie is a toy. She isn't a role model. It isn't in a child comparing them self to the doll that creates the issue with outer beauty, but rather the response of the adults in the child's life. Barbie is my favourite too but rest assured you are a perfect combination of beauty and brains. I too blogged about beauty.